(20 February 2017) – Energy poverty is an issue in Europe. A recently published ‘Energy Poverty Handbook’ shows that eliminating energy poverty is not only desirable but also possible. Can you imagine that there are still many people in Europe in 2017 who need to choose between heating and eating? More than 10% of the European population can be considered energy poor and this number will remain the same unless targeted measures are introduced. What are the social and health consequences of energy poverty? How can we identify affected households? What are the regional differences? What kind of policy measures and best practices exist already? And is funding available? 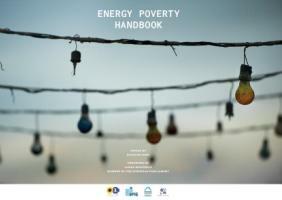 This handbook, published by MEP Tamás Meszerics (The Greens/EFA), will convince you that eliminating energy poverty is not only desirable but also possible.